In this recipe we will run a shell script whenever the computer has been left inactive. 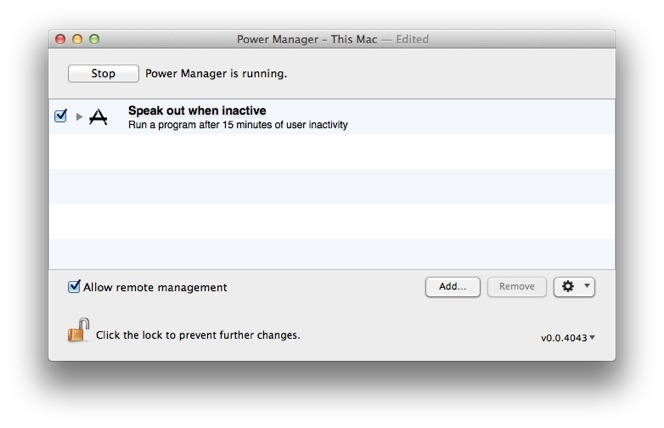 We will use Power Manager to achieve this. 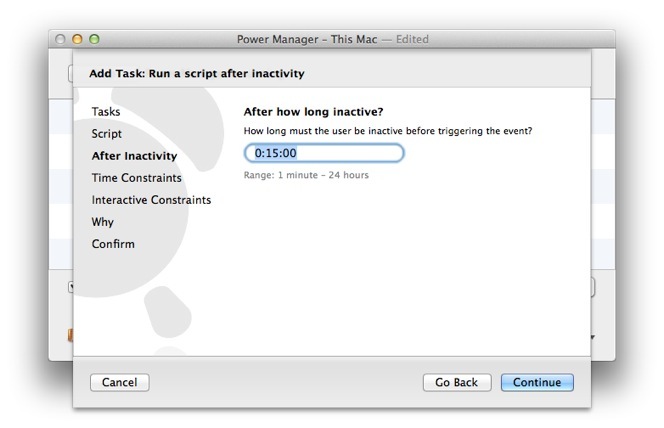 Using this technique you can automate a wide range of responses to an idle Mac. A shell script could quit computationally expensive processes, clean up temporary files, or hook into an existing workflow. 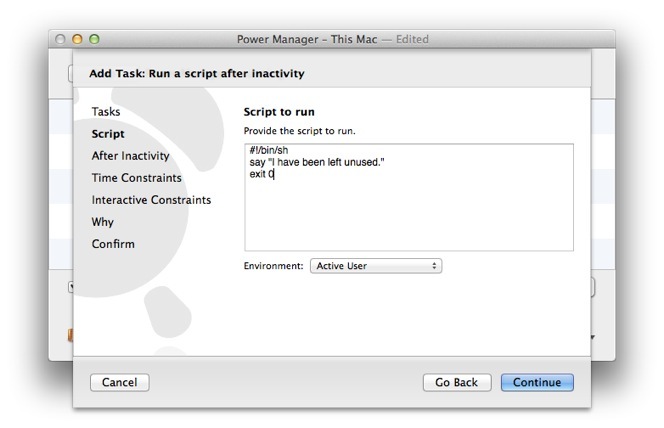 Select Run a script after inactivity for the task. Copy and paste in your script, remembering to include a hash bang line. say "I have been left unused." Continue to the After Inactivity step. Adjust the period of inactivity to wait, as needed. 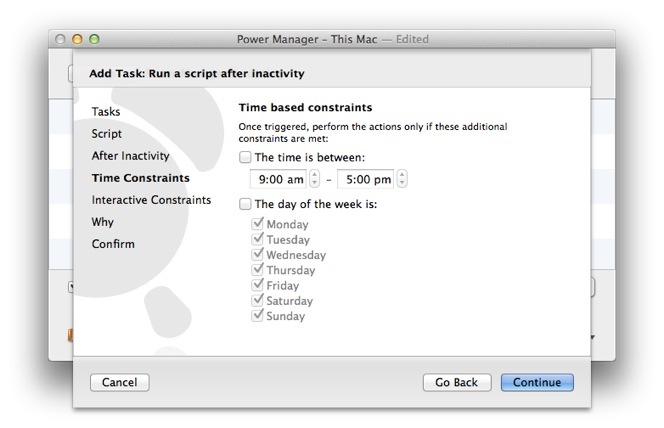 Continue through the Time Constraints and Interactive Constraints steps. Continue to the Why step and provide a name and any notes. Your new inactivity triggered shell script is available immediately. 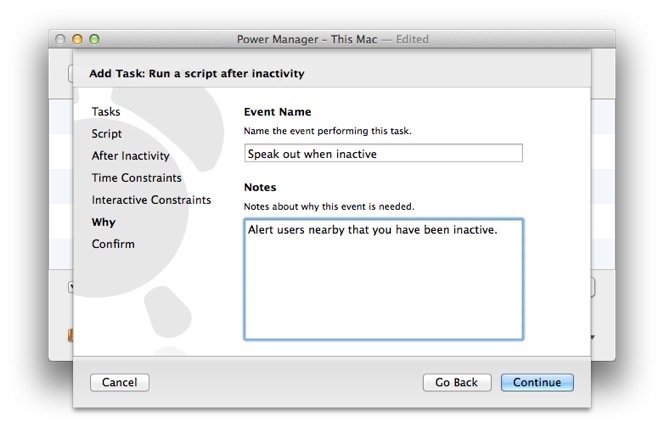 Be sure to test the event works as expected by leaving your computer untouched for 15 minutes – or for whatever period of inactivity you choose. 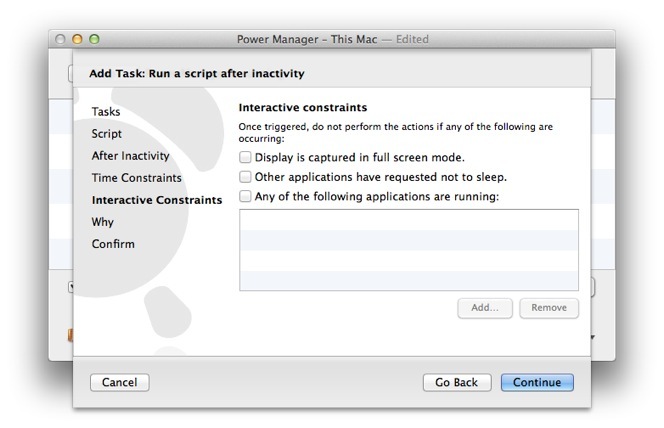 You can use this approach to trigger different scripts at different stages of inactivity. 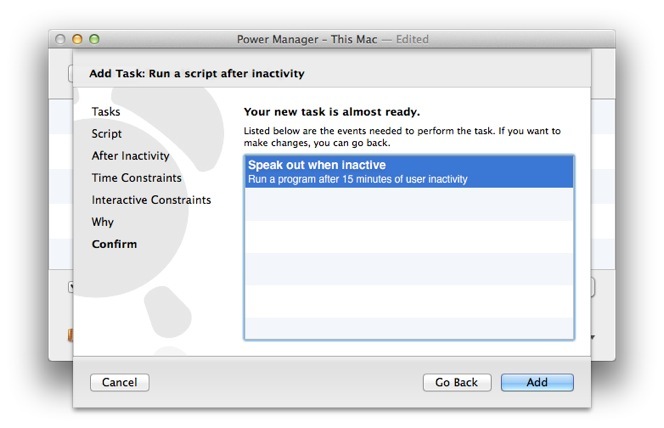 Consider creating multiple inactivity triggered scripts to perform at 5 minutes, then after 10 minutes, and finally after 30 minutes of inactivity. 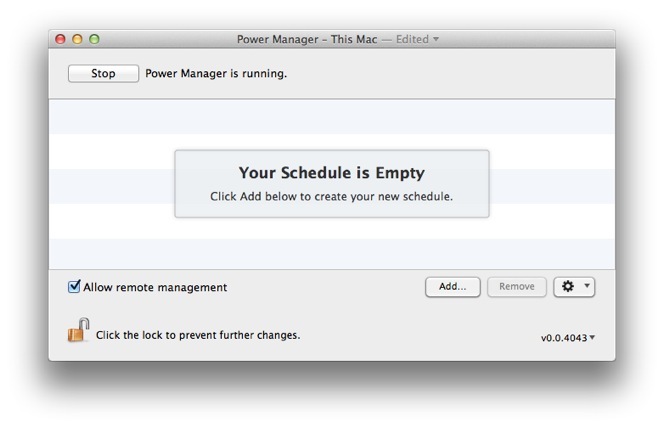 This is all possible with Power Manager. 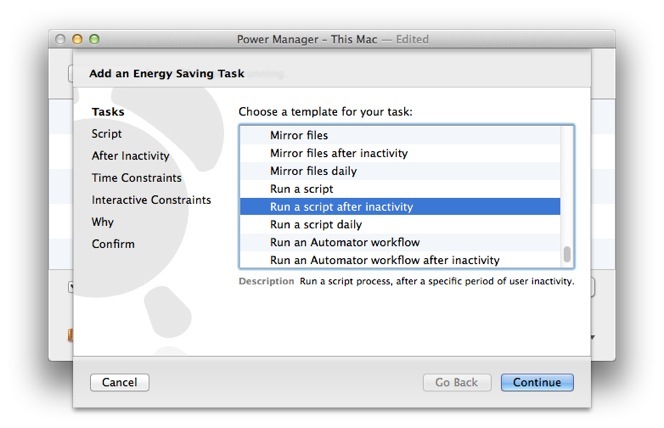 This article was posted in Power Manager, PM4, and Recipe and tagged inactivity, idle time, and shell script.